Long hailed as one of Germany's brightest talents, Leon Goretzka will join Bayern Munich on a free this summer after five impressive seasons at Schalke. Before his big move, however, he has his eyes on helping Joachim Löw's troops defend their world crown – and he enjoys playing in Russia. In 2012, when still only 17, Goretzka was described as "Germany's biggest talent in 50 years," by his coach at Bochum Peter Neururer. The teenager's displays in central midfield for his hometown club – whom he had joined at the age of six – had eyelashes fluttering in his direction from across Europe, but he ended up joining neighbours Schalke a year later. Watch: Check out Goretzka's top five Bundesliga goals! Although injury prone, Goretzka lived up to the all the initial hype in Gelsenkirchen, fulfilling the hopes that had been placed in him as a teenager. Not even the chopping and changing of coaches at the Veltins Arena hindered his development, Goretzka developing into one of the German game's most industrious, deadly midfielders. Amid reported interest from Barcelona and Liverpool, he opted in January to join Bayern from the summer. Goretzka is a classic No8, a box-to-box central midfielder, cited by many as Bastian Schweinsteiger's long-term heir for Bayern and Germany. Although capable of playing in a No10 role or wide right (as he often did during qualifying for Russia), the 23-year-old's leggy style is better suited to darting runs into the box from deep. Goretzka scored three goals (two against Azerbaijan, one against Norway) and picked up one assist in five qualifiers. In the time he was on the pitch, Germany only conceded one goal. The Schalke midfielder also featured at the Confederations Cup, scoring three goals in his four appearances as Die Nationalmannschaft romped to the title in Russia last summer. 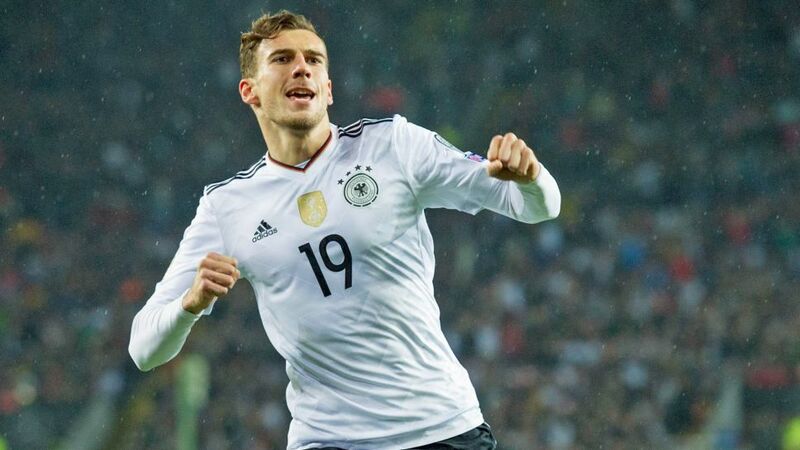 Expect those late runs into the box from deep to be a feature of Goretzka's – and Germany's - game. Often he looks out of position, before bursting into the area and unleashing an unerring finish. The Bayern-bound midfielder also has a mean set-piece on him and is as confident over a penalty as he is a long-range free-kick.